Love the big "M" with the smaller "ouse" on top of it!! This is a great Disney page!! I love how you captured the magic of the place! Oh how fun! Love all the glitter sparkle on the page and your pics! You can really tell you're having a blast from your pics and this layout! I love Disney! This page is full of fun. Such fun photos! Love the big M title and the pops of color. Love this colorful layout and the large title work! 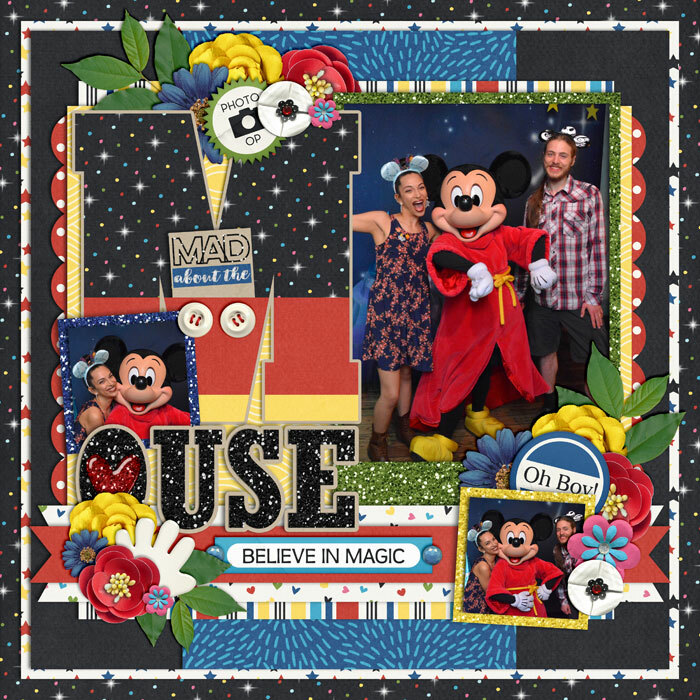 Fun pictures with the mouse!